Students await a new restaurant in the Quarry Plaza to take the place of Joe’s Pizza and Subs. The interior of the restaurant has been renovated to accommodate the new vendor. Photo by Casey Amaral. Neuman said Joe’s Pizzas and Subs had requested a five-year lease extension and didn’t accept the governance board’s offer for a three-year extension. Joe’s, which had been operating in the building since 2003, left the Quarry Plaza when their lease ended last June and the space has been vacant ever since. Last October, an undergraduate-wide survey found that students favored healthy food options — soups, salads, sandwiches ­— with a preference for organic and hormone-free meals at a price point of around $10. Neuman said the survey results are prioritized in the commons’ search for a new vendor who will fit the needs of the students and the space. The commons sent out 35 “request for interest” letters over the summer to potential local vendors, and a selection committee narrowed it down to 10 finalists based on interest, price, type of food, finances, experience, commitment to environmental sustainability, renovation and equipment needs, among other criteria. “The Quarry Plaza is a marquee location and we want to find a tenant who can really meet that mark,” Neuman said. The kitchen underwent maintenance and cleaning upgrades this summer. Joshua Francis, associate architect at Physical Planning and Construction, said the current condition of the restaurant is excellent and is ready to move into the “kitchen equipment coordination phase,” for energy-efficient equipment to be installed. 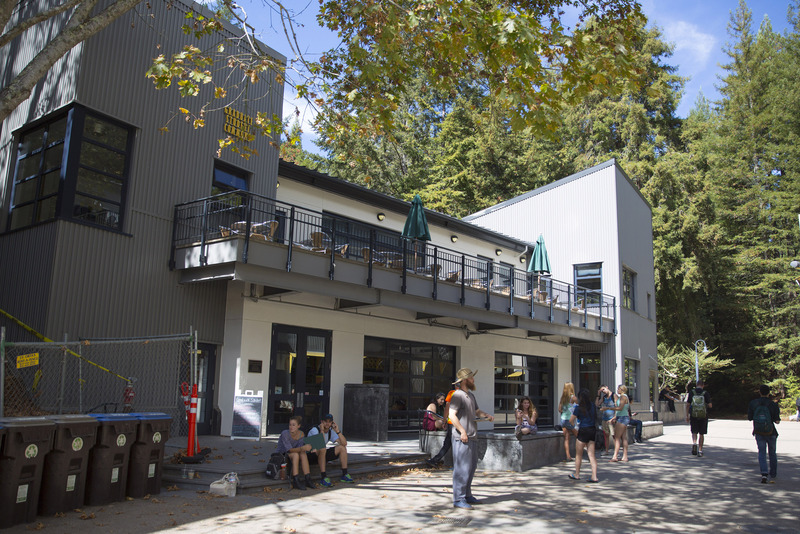 The UC Santa Cruz Carbon Fund, which helps fund projects supporting carbon neutrality, awarded $25,000 to the commons for energy-efficient appliances. All other funds for this project are from the Graduate Student Facilities Fee. The current project budget for facility repairs and new equipment is estimated at $95,000. The vendor list is narrowed down to five local restaurants who the governance board’s voting members consisting of 16 graduate students will vote on their final recommendation this quarter. Neuman said the board expects to earn about $12,000 this year from the new restaurant’s lease, which includes the last three months of no revenue from a vendor lease.